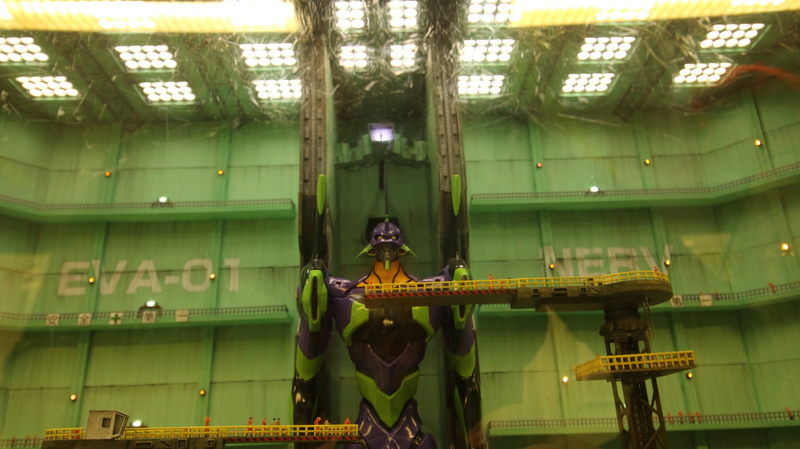 Neon Genesis Evangelion is a weird show, in that it starts off one way and then ends a completely different one, a show that will take you on a truly unexpected journey. It takes more than one viewing to fully appreciate it and of course it has multiple endings, each as confusing as the other, with a new one hopefully out soon. Yet I love this series, its gorgeous animation, haunting plot, and dark themes are just a perfect combination. It’s not just me who loves this series in both West and East it is universally adored. 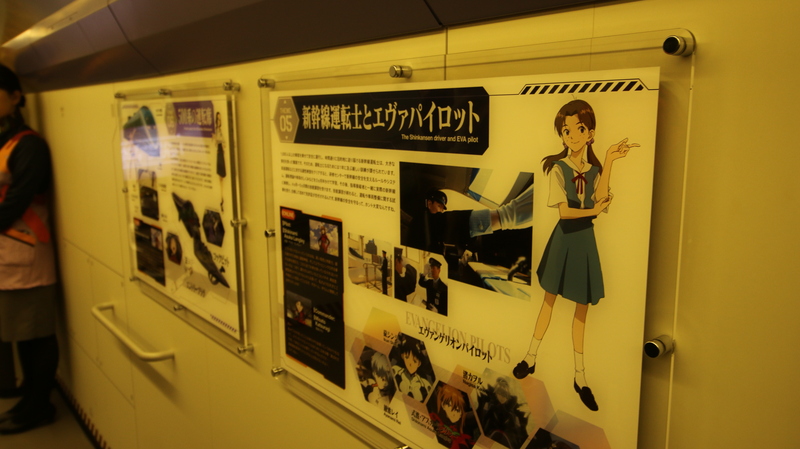 No better proof of its adoration exists than the Shinkansen Evangelion Project. 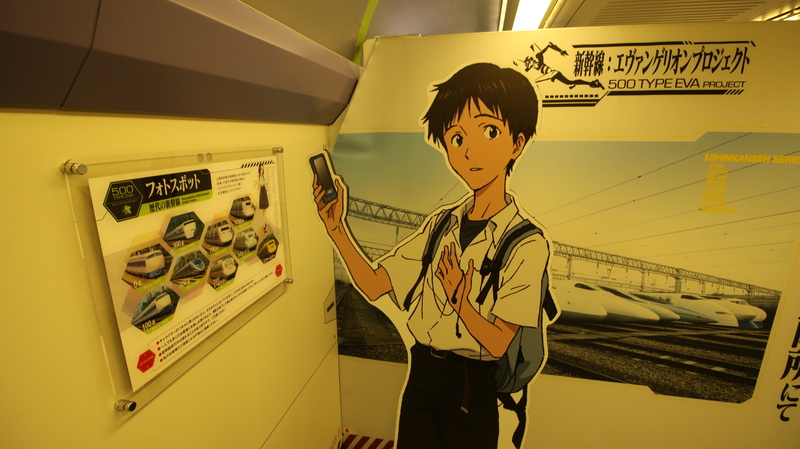 Back in 2015 it was a double anniversary, 40 years of the Shinkansen and 20 years of Evangelion so naturally they had to do a cross over, yes this is how we got the Evangelion train.. 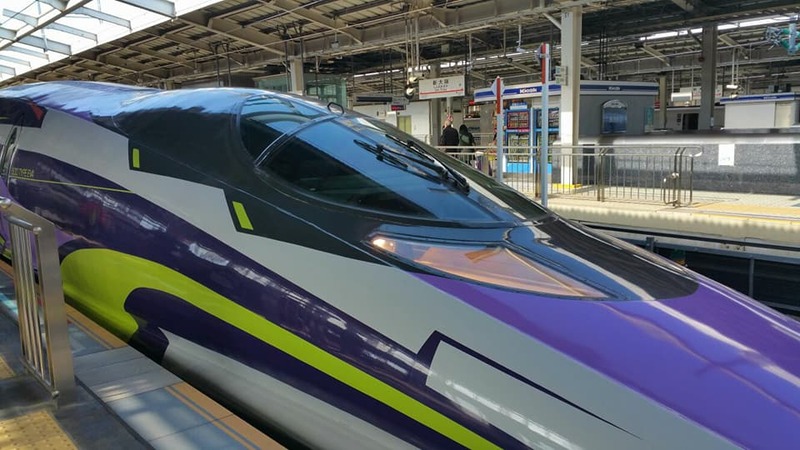 The Sanyo Shinkansen operates a 500 TYPE EVA train, created under the supervision of Mr. Hideaki Anno, Director of Evangelion, and designed by Mr. Ikuto Yamashita, Evangelion’s mechanical designer. 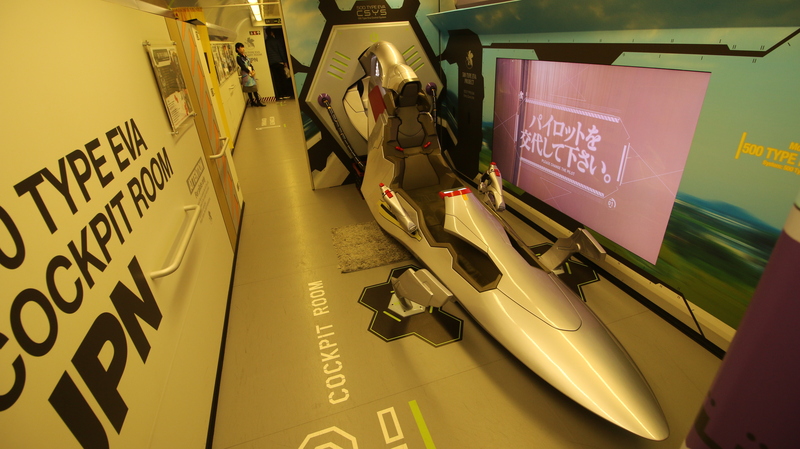 Additionally, while on board, passengers can enjoy content with the motif of the world of Evangelion. With a few little Easter Eggs and even a little museum at the front, that sells some great merchandise, unique to this location, it has become kind of a holy pilgrimage for fans of this beloved series. Sadly this train will only be running till Spring 2018, though there is always a chance it could be extended, in the end as a massive fan of the franchise and someone who does not mind a nice relaxing train journey I am glad to have had the chance to take this train. That train looks awesome! What a paint job!